You’ve decided to buy a franchise. Congratulations! Now that you’ve made your decision, it's time to get the ball rolling. Start by creating a franchise business plan to keep your business goals on track. 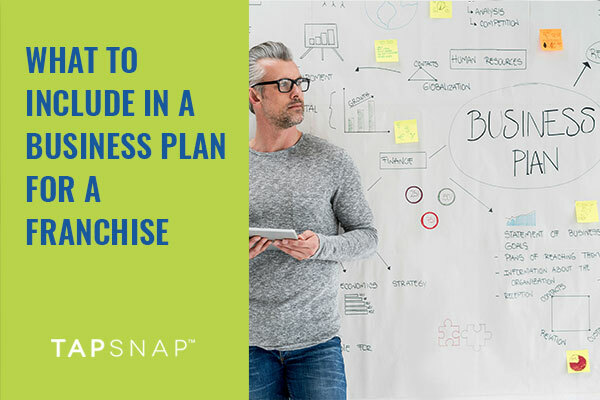 Whether or not your franchisor requires a business plan, or the franchise is SBA approved, it is a handy tool that will guide you and your new venture to succeed. A business plan will help you to stay on track with your goals and objectives by giving you a bigger picture of how you’ll run your business. Without one, it’s easy to lose sight, making it difficult to track and measure success. The executive summary is typically the first thing you’ll include in your franchise business plan. It’s meant to provide a concise overview of your overall plan. Save writing this for last as it’s easier to summarize your plan when you have everything else mapped out first. Your franchise business plan plays a key role in securing the financing you need for your new venture. It’s a document that conveys every important aspect of your business to banks or lenders. That’s why it’s necessary to include an introduction about your business. Provide a breakdown of the products and services you will offer, and illustrate what makes your business unique in comparison to competitors in your market area. You can also include key information about the franchisor in this section. All of this information will be accessible in your Franchise Disclosure Document (FDD), so be sure to acquire this from your franchisor. To put it simply, your market analysis summary demonstrates that you know your "stuff". It provides an overview of the market you’ll be breaking into which, in turn, helps investors understand more about your business venture. Include things like the size of the market, how it’s segmented, your consumers’ traits, and why the market will be in need of your services. Again, you can attain most of this information from your FDD, but be sure you’re applying this specifically to your local market area. This section is perhaps the most important element to include in your plan. This is where you’ll illustrate your financial goals and objectives very clearly. In this way, it will help lenders understand when you can break-even, generate revenue, and turn a profit. As such, it also provides them with some reassurance that you’re capable of paying back any loans. While this section may be daunting for traditional business plans, it’s simpler when it comes to creating one for a franchise. Most of the information you’ll require is accessible in your FDD. Be sure to reference this to help you create your plan as it will contain pertinent information about the business. Aside from your financial goals and objectives, your plan should also include a breakdown of how you plan to market your new business and build clientele. Investors will generally want to see an action-plan on how you will achieve your financial goals and keep your business afloat, so the more detailed this section is the better. Pro tip: See if your franchisor has a business plan template that you can use instead of creating one from scratch. Though these are just a few tips on what to include in a business plan, they are essential components to help you build one that’s detailed yet concise. Once you’ve used these tips for writing a business plan, take a look at how to build a successful franchise business too! If you’re still looking for the right franchise, check out this franchising guide and resource list to help guide you. We have many franchising opportunities here at TapSnap, so if you’re interested, learn more in our Franchise Information Report.